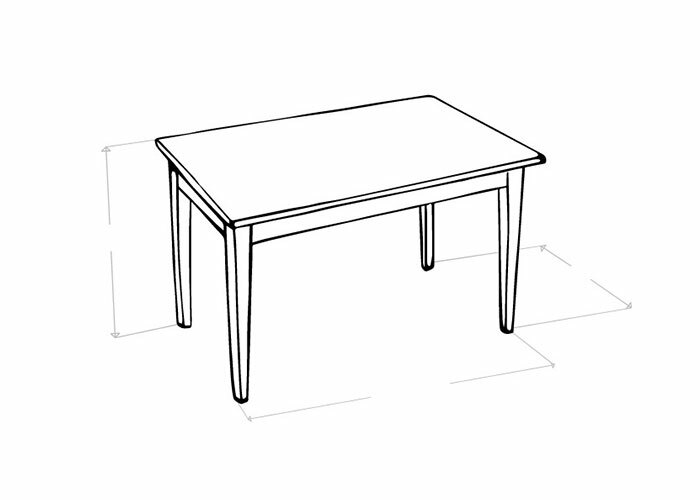 This is a fantastic chance to purchase a unique industrial restaurant table. 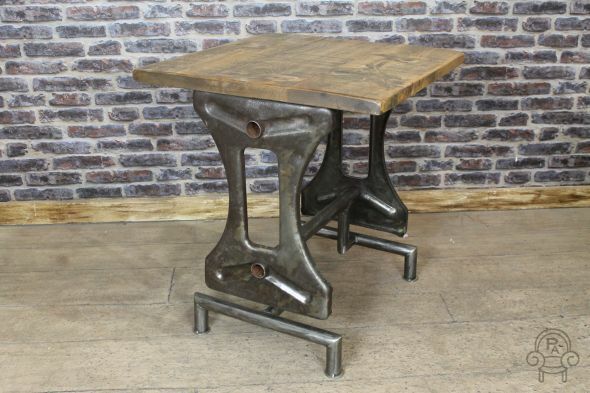 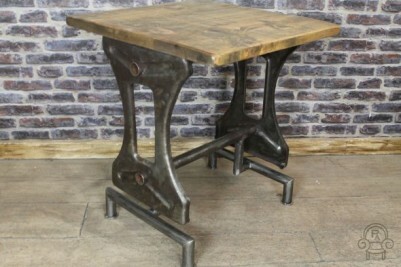 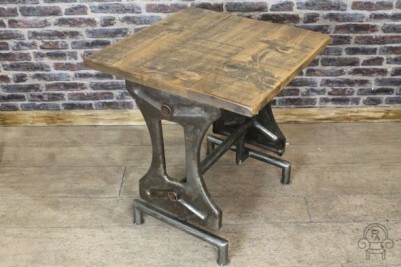 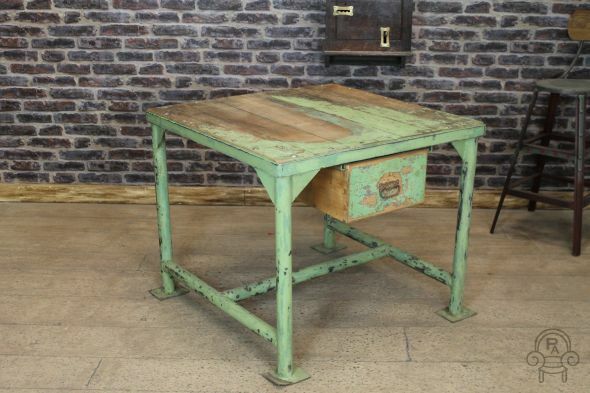 These vintage industrial tables have been shipped in from Eastern Europe and are unique, one-off pieces. They would formerly have been used as machinist tables in a large clothing factory. 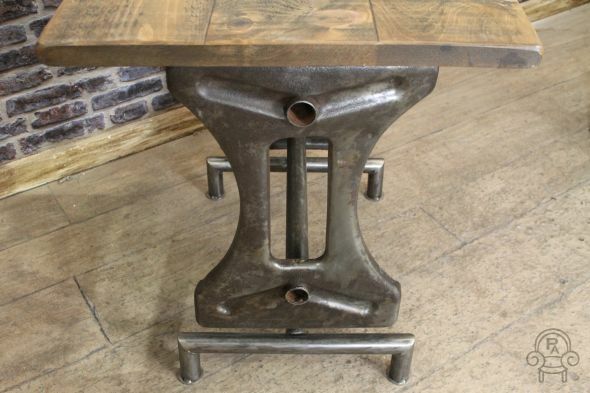 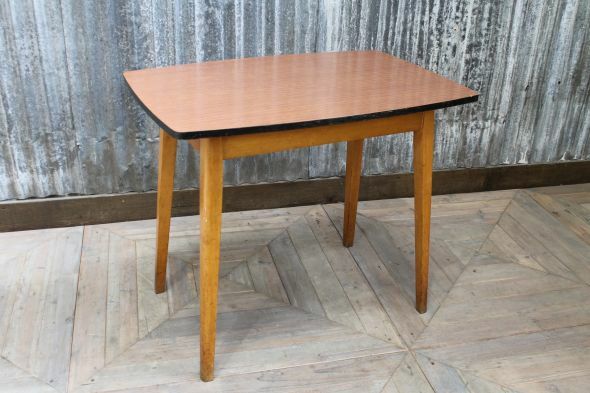 The table has a substantial pressed steel and tubular construction base, and a 30mm thick reclaimed pine top. 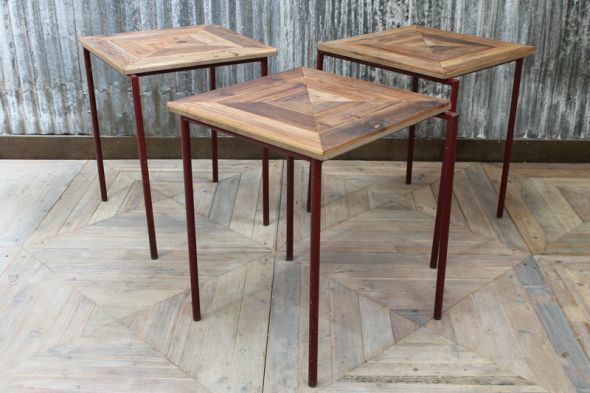 These tables would make a real statement in any cafe, bar or restaurant. We are able to put two of the bases together and add a larger top if you require a bigger table; please contact us for more details. 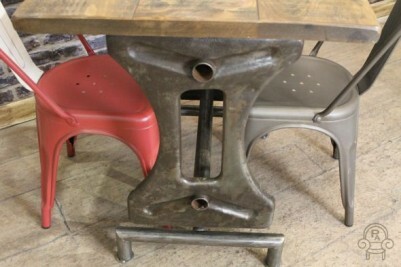 Please note, this listing is for one industrial restaurant table only, but we do have more in stock. 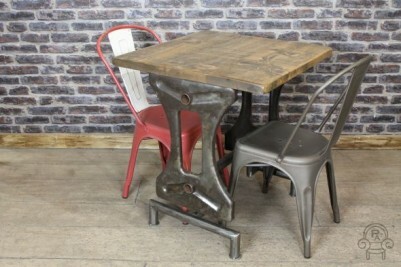 The other items photographed are not included in this listing but are available to purchase separately.